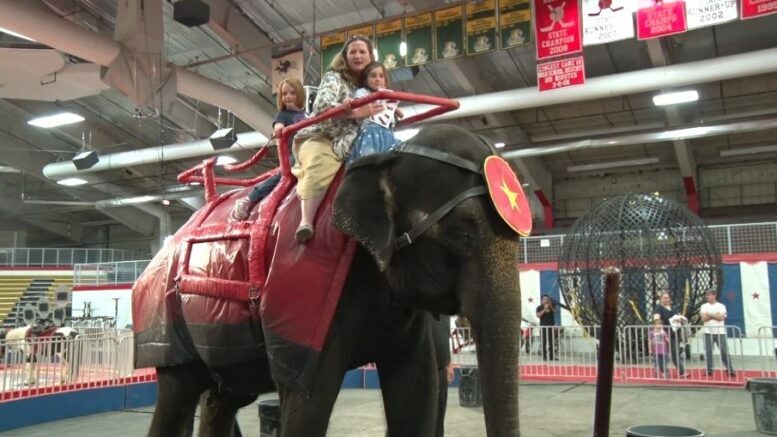 Ahmed Shrine Circus brings the big top to the U.P. MARQUETTE — The 56th Annual Ahmed Shrine Circus is touring across the Upper Peninsula, and began entertaining the public tonight in Marquette. The Lakeview Arena played host, as clowns, animals, and performers filled the space with excitement for all. These circuses are held across the nation; however, all money raised from this area’s will go towards Ahmed Shriners in Marquette. The Shriners are a brotherhood of men who are committed to family, engaged in ongoing personal growth, and dedicated to providing care for children and families in need. The circus will stay in Marquette on Tuesday, and then move to other locations in the UP. Other circus dates are Wednesday May 9th in Iron Mountain, Thursday, May 10th in Ironwood, Friday, May 11th in Houghton, Saturday, May 12th in Escanaba and Sunday, May 13th at Pullar Stadium in Sault Ste. Marie.